Use the Stocks glance to check one stock of particular interest. View the Stocks glance. Swipe up on the watch face, then swipe to the stock info. 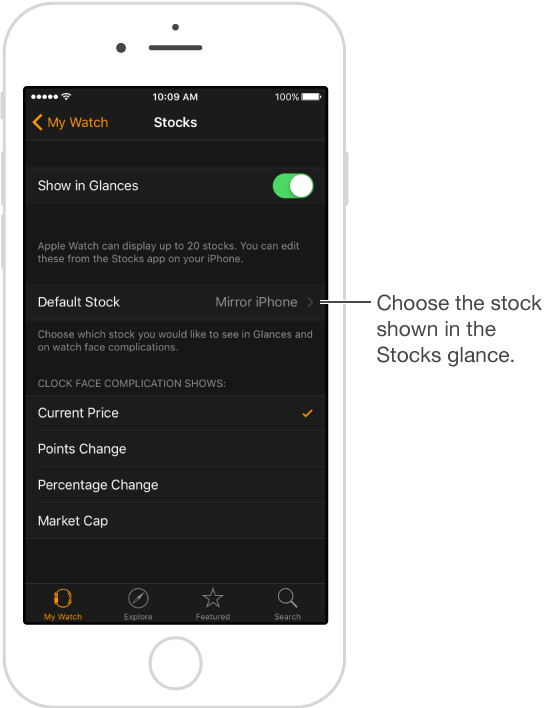 If you don’t see the Stocks glance, open the Apple Watch app on iPhone, tap My Watch, tap Glances, then add it to your list of glances. Choose your stock. 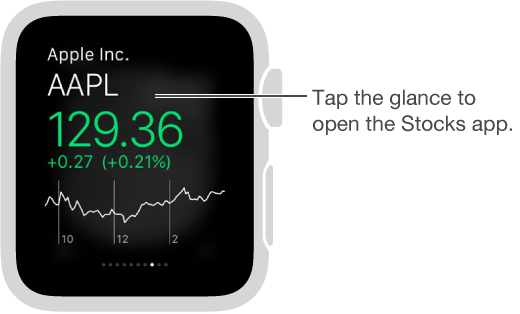 Open the Apple Watch app on iPhone, tap My Watch, tap Stocks, then choose your default stock.